LAFAYETTE, Ind. — On September 1, 2009 at approximately 11:00p, deputies from the Tippecanoe County Sheriff’s Office responded to a domestic disturbance at a residence located just off of County Road 200 East in southern Tippecanoe County. They were dispatched to the residence after a child had called 911 and reported that her father had a gun and was threatening to kill her mother. 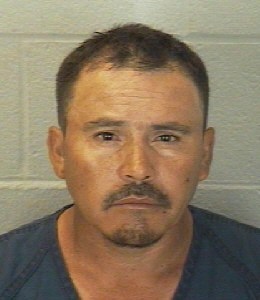 Following an investigation into the incident, Flavio Gonzalez, age 39, of Lafayette, IN was arrested and charged with Attempted Murder (I.C. 35-42-1-1), Domestic Battery (I.C. 35-42-2-1.3), Intimidation with a Deadly Weapon (I.C. 35-45-2-1), Criminal Confinement with a Deadly Weapon ( I.C. 35-42-3-3), and Resisting Law Enforcement (I.C. 35-44-3-3). He is currently being held in the Tippecanoe County Jail on a $100,000.00 bond.